OPTM Health Care along with our chief researcher and Founder works together with top scientist and Universities along with clinicians to provide an unique solution for chronic and acute pain. OPTM Health Care reinvests a significant amount of annual sales in research and development of innovative phytomedicines. Drug advancement in our R& D mainly focuses on muscular and neurological disorders as well as on varicose veins and urological indications. The research for our innovative Phytomedicine process starts with the screening of new plants, in our newly set up tissue culture lab. Subsequently, phytochemicals are extracted from the plants which are sourced from Gramin Farmers. A sophisticated production technology finally leads to a product in which beneficial active phytochemicals are enriched with. After the vigilant selection of phytochemicals, harmful components are eliminated from the extract. The derived plant extracts are thoroughly screened using relevant pharmacological and toxicological models to ensure optimal customer safety. The efficacy and safety of our phyto formulations are investigated in clinical trials prior to their introduction into the markets. OPTM Research Institute’s clinical research on phytomedicines has significantly contributed to the acceptance of science-based phytotherapy in the medical community. Looking back on the long in-house tradition of such studies, OPTM Health Care may be regarded as one of the inventor of evidence-based phytotherapy & phytomedicine in Asia. Our dedication to proving the efficacy and safety of our phytomedicines through rigid pharmacological and clinical studies is unique. 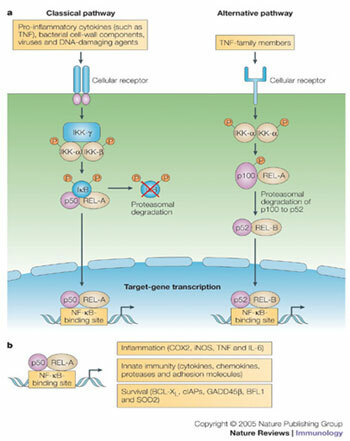 The NFkappaB pathway is the key underlying pathway promoting Osteoarthritis. Osteoarthritis is usually associated with Inflammation-A physiological process whereby tissue responds to Oxidative Stress. Our formulation formulated by our founder and head researcher Apurba Ganguly is enriched with phyto constituents which offer varieties of structurally unrelated compounds viz. alkaloids, coumarins, flavonoids, polyphenols and terpenoids to modulating redox sate and combat against pain and inflammation related with osteoarthritis. Phytochemical’s being non narcotic and without side effects could be capable of management of pain and inflammation by suppressing the activation of transcription level of inflammation during signal proteins. NFkappab (Nuclear factor B) is a signal protein complex that has been linked with inflammatory process and improper immune development. OPTM Health Care is a place for the treatment of pain. Pain Management is the major service provided by OPTM Health Care under the guidance of Dr Apurba Ganguly who invented the “AG Electro Plus” therapy for Pain Management. OPTM Health Care is different from other hospitals because they use only herbal and Phytomedicines which are prepared naturally in comparison to allopathic and other surgical treatments. Many of you complain that you cannot sleep during the night time. Well such sleeping disorder is known as sleeplessness or insomnia. You should know that it is a situation where you cannot fall asleep easily and the sleep does not continue for long. Moreover, when the disorder becomes a chronic, it surely affects your health negatively. Over all there are two types of sleeplessness one is primary and secondary. What are the causes of sleeplessness? There is wide array of causes which aggravates the problem. Quitting of certain stimulants, including medicines, caffeine, cocaine, nicotine definitely affects your sleep. People who are suffering from heart disease most likely do develop sleeplessness. At the same time, withdrawing certain anti anxiety drugs also leaves a negative impact. Sometimes people undergoing surgery in the thorax also have the chance of getting insomnia. Regular use of various antibiotic medicines also does cause sleeplessness. Apart from these, sedentary lifestyle, getting gastrointestinal problems, variation in hormones during menstruation and menopause also prevent you from sleeping. Moreover, you should also consider the neurological problems and genetic problem also do accentuate the problem. What are the symptoms of sleeplessness? If you face the problem of sleeplessness, then you could not sleep at a stretch. Next, you would adopt the habit of waking up frequently. Sometimes, you might feel difficulty in sleeping after getting awake. In addition to this, you might see that you rise up from bed early in the morning followed by dizziness and exhaustion. Sometimes, you need to take alcohol or other sleeping drugs to get asleep. 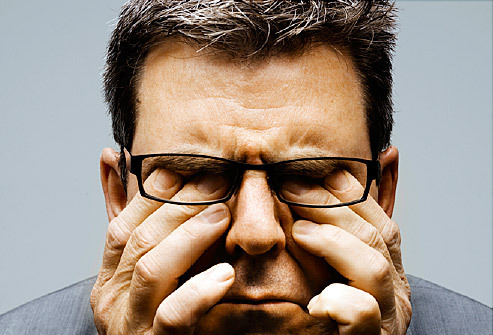 Improper sleep might make you feel irritated and drowsy during the day time. What are the different types of sleeplessness? There are three types of sleeplessness which are acute sleeplessness, chronic sleeplessness and transient sleeplessness. In case of acute sleeplessness an individual could not sleep for long say less than a month. Chronic sleeplessness is a condition when a person is able to sleep more than a month and Transient sleeplessness is a situation when a person is able to sleep less than a week. OPTM Health Care (P) Ltd & AG herbs, two complimentary companies, under one roof, was founded by Apurba Ganguly, who invented the ‘AG Electro Pulse Therapy’ for Pain Management, and started treating patients from his own clinic named ‘Krish Pain Treatment & Research Centre’ (in Kolkata, West Bengal, India), This was in 1991, Apurba Ganguly in addition to treating patients at his own clinic, travelled widely in all major cities of India and also a few different places abroad to treat patients. The therapy soon became popular and in February 1994, in a press conference in the presence of press personnel, eminent Doctors/ Principals of Medical Colleges, Senior Orthopeadic Surgeons, Apurba Ganguly briefed the Principle of this Therapy and administered free treatment to establish the effectiveness of the treatment. Frozen shoulder is a medical condition where the ligaments covering the joints gets stiffen and swells resulting in reduced mobility of the shoulder. It is also known as Adhesive capsulitis which attacks only one side of your shoulder, but in some cases it affects both of them. You should know that it occurs due to injury or from diseases like stroke or diabetes. You would discover that the problem arises slowly and goes away on its own may be after a year. Normally it takes place when you reduce the movement of your shoulder. It is because you could not bear the unendurable pain. Moreover, it is also caused due to the degrading condition of your health and due to other diseases like stroke. Over all, you should remember that it is caused due to injury or surgery. Moreover, people having diabetes should keep an eye on the problem because it is one of the important causes which lead to the problem. Aside these, you should know that frozen shoulder is also caused due to formation of tissue scar in the joints. As a result this makes the joints of the shoulder stiffen and thicken reducing the movement. Paining stage: In this case the shoulder gets stiffen and becomes difficult to move. The pain becomes unbearable during the night time. 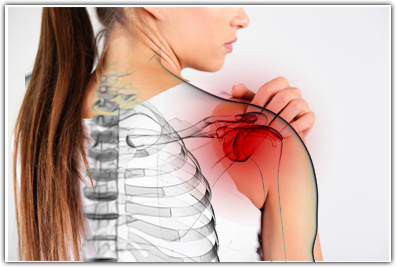 Adhesive stage: The pain in the shoulder increases resulting in very less movement of the shoulder. You could see that the pain does not reduce but deteriorates with time. Thawing stage: In this stage, you could move your shoulder easily, without experiencing any kind of pain. Failed back surgery syndrome is a medical condition where chronic pain exists in the leg or back, the pain mostly occurs after undergoing a spinal surgery. The pain increases due to the formation of the tissue scar surrounding the nerve roots of the spine. This is followed by ceaseless muscle spasm and pain in the tissue. Over all, the condition refers to chronic pain disorder. What are the causes of failed back surgery syndrome? It is seen that those who have undergone surgery in the lumbar spine do complain against chronic pain in the spine. It is seen that in most of the cases the pain is due to the technical error which took place during the surgery of the spine. This actually takes place after laminectomy, discectomy or micro discectomy. 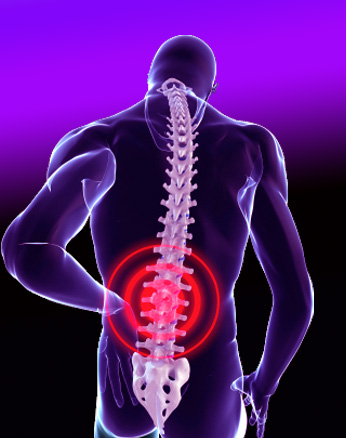 It is also reported that the pain also occurs due to herniation of disc after surgery. You should also know that removing the disc without considering the presence of stenosis also does aggravate the problem. In addition to this, it is seen that pain in the back is due to the occurrence of chemical inflammation and mechanical compression along the nerve roots. Researchers have also found that cigarette smoking is another factor which causes failed back surgery syndrome. First of all you are going to experience chronic pain in the affected area. 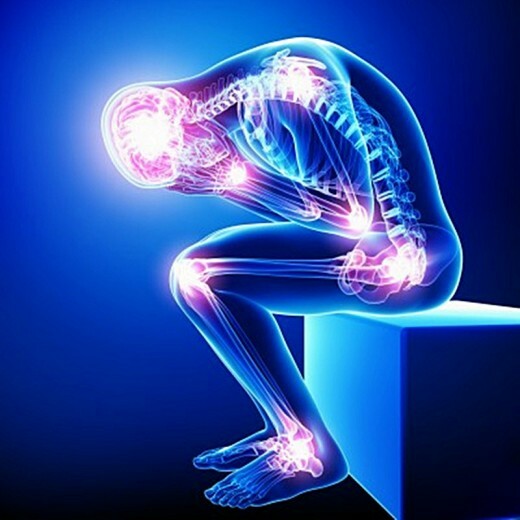 Sometimes you might experience pain in the new area apart from previously treated one. OPTM Health Care is working hard towards researching and manufacturing, systematically and scientifically developed plant-originated medicines. Phytomedicine is based on a very traditional and a global medicinal system and hence, ought to be quite reliable for use. Phytomedicine treatment is highly effective in the case of Osteoarthritis, maybe more than any other disease/ illness. There can hardly be a full stop to few things for every good thing awaits revival. As change is the only thing constant, revival becomes essential. Our valuable herbs and medicinal plants are God’s precious gift to the humankind and it must meet a proper utilization. The concept of treating illness with medicines made out of herbs and plants is called herbal medicine and its origin is centuries old. In the recent times, focus is shifting back to employing the beneficial properties of medicinal plants to cure diseases. Applying scientific research and advanced medical practice to the herbal medicine is known as Phytomedicine, which is rapidly gaining popularity with pharmacists, doctors and all medical professionals. It borrows its name from the word as used in the European parts of the world, where plant based medicines are continually in use and are supplied to people as ‘phytomedicines’. This encourages the growing use of science on plant drugs to be safely and effectively converted for being distributed, fully utilizing its medical purpose. Although, in the late 90s, time, energy and resources were directed towards building the synthetic medicines and treatment, thinking it to be better, faster and safer. But the herbal medicine scenario has been revived back with enhanced popularity in the advanced world of science. With the application of science and advanced methodology to the use of herbal medicines, it can be a very beneficial cure. The conventional methods like physio, anti-depressant therapies & weight control as well as medicinal drugs like paracetamol, topical or steroids etc. used in the case of Osteoarthritis may not be sufficient. Under the expert and innovative guidance of our founder, Dr. Apurba Ganguly, we are progressively developing new treatment techniques with phytomedicines. Dr. Ganguly’s ideologies and methodologies, for say achieving knee symmetry in the field, are remarkable and promise absolute recovery at lower costs. OPTM Health Care offers the best Osteoarthritis treatment in a natural way. Osteoarthritis can attack any joint present in the body but it may severely attack joints present in hands, knees, hips & spine. Osteoarthritis gradually becomes worse with passage of time if no legitimate prescription is taken. The specialists in other hospitals may suggest active Physiotherapy Treatment (PT) or Occupational Therapy Treatment (OT) to enhance or improve the functionality and movement of joints. For reducing the inflammation of joints, they use chemically composed drugs with no guarantee of no after effects. At the point when pain is extreme, surgery may be recommended by them which may cost you high but with no 100 % recovery. Treatment provided in OPTM Health Care can lessen or diminish the pain and help you to remain active. Here at OPTM Health Care, we conduct the treatment in a very systematic & scientific manner with no side effects. We conduct the treatment in three phases: Phase 1, Phase 2 and Phase 3. When you will be in Phase 3, you will be completely alright; we assure you a 100 % recovery with completion of our Phase 3 Treatment. By our treatment, aggravation or inflammation of joints can be decreased without the use of any synthetically made medications. Dr Apurba Ganguly, founder of OPTM Health Care is solely responsible for all the accolades for inventing of scientific & natural treatment techniques. A sustainable approach is delivered by Dr. Apurba Ganguly for achieving knee symmetry in osteoarthritis by phytotherapeutic treatment which costs you less and offers a 100% recovery.